With the variable weather in the UK changing from day to day and region to region, bringing your bulbs inside will help them to flower sooner. 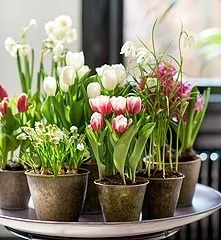 Nothing creates a spring mood in store and in the home like potted bulb plants. They offer convenience for the consumer, are almost guaranteed to flower and radiate lots of energy thanks to all the sprouting bulbs. 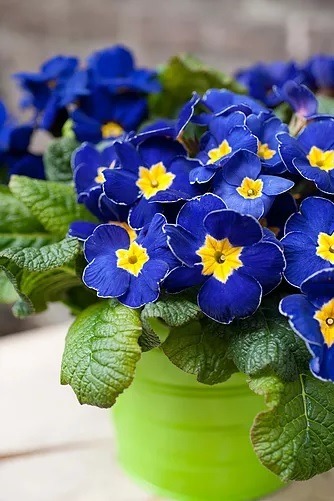 Some of the stars in the potted bulb category have been selected for March to celebrate the start of Spring: Narcissi, grape hyacinths (Muscari), tulips and hyacinths will flower quickly and radiantly in warm conditions indoors.